Are you committing to a future of sobriety? Over 20 million people in America currently struggle with some kind of addiction. While this number is incredibly high, only a fraction of these individuals seeks actual treatment. This can be for a variety of reasons. A lot of treatment options can be costly, particularly for people without appropriate insurance. Recovering from addiction can also be both psychologically and physically painful. If you are committing to changing your life, you likely have a lot of questions about what your future holds. Your first year in recovery may be the scariest and most inspiring year of your life, however. 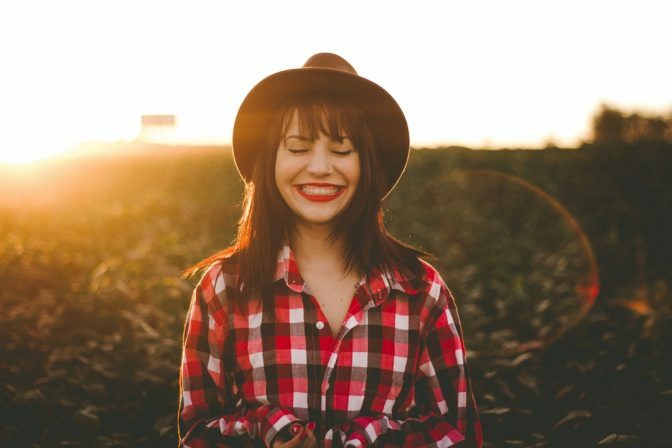 In this post, we discuss what you can expect in your first year of addiction recovery. Read on for insight! If you are struggling with a substance addiction, a detox is a necessary part of your recovery. This is because most addicts have built a physical dependency to a certain substance. Relinquishing this dependency is a critical component of releasing an addiction. Once the body no longer craves a drug or substance on a chemical level, it’s easier to move past addictive tendencies. Unfortunately, a medical detox can be excruciating. People with severe dependencies experience withdrawal symptoms as soon as a handful of hours after they’ve had their last dose. These symptoms can involve nausea, tremors, anxiety, intense cravings, and more, depending on the drug. In fact, withdrawal symptoms often perpetuate the addiction cycle itself. The easiest way to keep them at bay, after all, is to simply take another hit. A medical detox is designed to help people manage withdrawal symptoms in a safe environment. 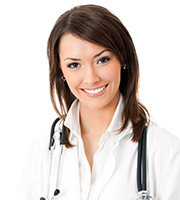 Most detoxes are supervised by medical staff. Some staff will administer medication to ease the pain of withdrawal. Some addicts try to detox on their own. However, this can be dangerous, especially for people with severe addictions. It’s possible to undergo a medical detox at a local hospital. Other patients can do so at designated treatment facilities. Lastly, people who have a behavioral addiction can go through a social detox. Learn more about the two types of addiction detoxes here. At this stage in your recovery journey, you have a lot of options. Some people choose to start rehab after they’ve undergone a detox. Others may not. It can be incredibly difficult to commit to a rehab journey, even if the addiction is severe. For this reason, an intervention may occur. Every rehab facility is different. But most follow the same basic principles. After detox, individuals undergo intensive beginning treatment. This is part of the early recovery stage. Beginning treatment at a rehab facility often involves a lot of counseling. It can also involve group therapy, prescribed activities, a specific diet, and further detoxes. If you are not seeking treatment at a designated facility, you will still be in the early stages of recovery. If you are recovering from a substance addiction, your doctor may prescribe medication to ensure your detox is effective. Your physician may also recommend treatment programs or support groups. Early recovery can still be a vulnerable time for people committing to being sober. It can be all too easy during this time to revert to old habits. For this reason, many people seeking sobriety find value in support groups, one-on-one counseling, and DIY programs like the 12-Step program. This period can also be physically uncomfortable, particularly if you are recovering from a substance addiction. The body needs a lot of time to release a drug dependency, and so you may need additional medical support at this time. A lot of people in recovery from addiction may recognize other mental health challenges at this point. It’s not uncommon, for example, for an addict to receive a dual diagnosis from a practitioner. This may mean a diagnosis of alcoholism and depression, for example, or drug dependency and OCD. If you’ve received a dual diagnosis, the next stage of rehabilitation will likely concern both conditions. This is a crucial stage of your first year in recovery. Once again, risk of relapse is high here. This is also the point when many people drop out of treatment, convinced they can handle recovery on their own. If you are handling recovery on your own, you may be tired of trying to handle all of this solo. You may feel repeatedly tempted to pursue the same social habits as before. For this reason, it’s wise to seek out professional aid of any kind during this part of your journey. Identify solutions for managing a dual diagnosis, if applicable. Continue treatment at a rehab facility, if possible. If you are enrolled in a treatment facility, the time will come when you step back into the “real world.” Most facilities have an outpatient care system, where you can still receive support while transitioning back to your normal life. If you aren’t in a treatment facility, this is the part of your recovery where you begin to integrate all that you’ve learned from rehabilitation. This can be a scary and overwhelming stage. A lot of recovering addicts fear relapse or unhealthy reintegration. For this reason, a wide and rich support network is critical here. Family members, friends, and treatment staff can all help you transition confidently. Once outpatient care is complete, life certainly isn’t going to be the same. But a lot of individuals stay connected with peers from a rehab program. Others continue to participate in support groups, maybe even going on to become leaders themselves. Recovering from an addiction can be intimidating. This is especially the case if you are managing a severe, years-long addiction of any kind. Knowing what to expect when it comes to recovery, however, is half the battle. Your first year in recovery may be the hardest, but it is not insurmountable. Most people begin their sobriety with a medical or social detox. After this comes rehabilitation and early treatment, often in a rehab facility. The length of treatment depends on every individual. Once it concludes, many people enroll in outpatient care before transitioning to their prior lives. Are you ready to commit to sobriety in Salt Lake City? Better Help Addiction Care recovery specialists are here to help you do so now. Give us a call today!